By Dr. Surat P, Ph.D.Reviewed by Dr. Tomislav Meštrović, MD, Ph.D. Peripheral blood mononuclear cells (abbreviated as PBMCs) are all of the cells in peripheral blood that contain a single, rounded nucleus. This group of cells is currently being used for various research applications. Example application of PMBCs: CAR-T cell therapy. An illustration by Alpha Tauri 3D Graphics. Since the discovery of stem cells, PBMCs have been found to have several origins - including hematopoietic stem cells (HSCs), endothelial progenitor cells (EPCs), mesenchymal stem cells (MSCs), circulating fibroblasts, and mesenchymal stem cells. The presence of these different populations of stem cells suggests that PBMCs could differentiate into several lineages in different microenvironments. More specifically, there is evidence that PBMCs could differentiate into blood cells, endothelial cells, hepatocytes, muscle cells, bone, epithelial cells, neural cells, and myofibroblasts. In addition, scientists have even managed to transform PBMCs into induced pluripotent cells (iPSCs). Although the potential of PBMCs has been displayed, the mechanisms behind such protean differential potential of PBMCs is still unclear. Since PBMCs can be isolated in a non-invasive manner compared to bone marrow stem cells, the extraction process can be done without the use of general anesthesia. In addition, autologous transplantation of PBMCs does not entail long-term immunosuppressive treatments or ethical considerations. PBMC transplantation is currently used to treat individuals with hematological malignancies. However, further research will still be required to understand their differentiation potential and transplantability. Establishing a diagnosis of an autoimmune disease entails collecting and studying biopsies of the synovium, brain, and skin. However, this method cannot be applied to study the early stages of disease progression which may be most amenable to therapeutic interventions. PBMCs provide several advantages over a biopsy; they can be extracted easily in a non-invasive manner and have the potential to discover pathogenic factors present in the blood. 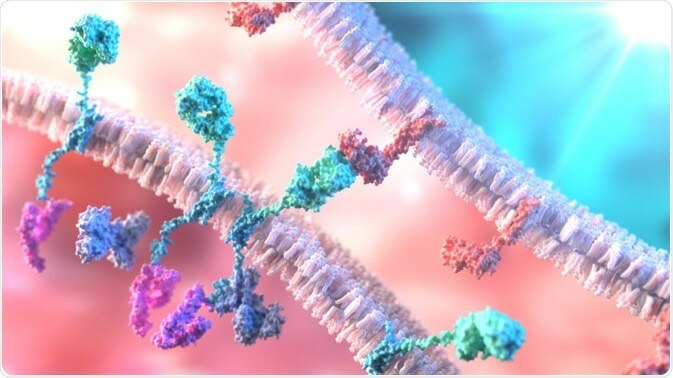 One disadvantage is the small amount of ribonucleic acid (RNA) that can be obtained from PBMCs, meaning a large number of cells may be required to generate usable data. CAR-T cell therapy has been considered a breakthrough approach due to its success observed in clinical trials with patients. In this method, a patient's own T cells are genetically engineered to express a chimeric antigen receptor (CAR). These cells then recognize antigens independently from MHCs and kill tumor cells when they encounter antigens. CAR-T cells can also self-amplify in the host environment. The T cells used in this technique are derived from PBMCs. However, initially, T cells are isolated from an unfractionated population of PBMCs, which leads to cell populations that are a mixture of T cells and other PBMC cells. This can lower the proliferation potential of isolated T cells. Later on, other processes are employed that enrich the T cell population from PBMCs by using a T cell-specific marker, although the ratio of CD4 to CD8 cells is still variable. Additionally, the number of CD4 and CD8 cells can be controlled to produce a more consistent population of cells. However, the effects of changes in the ratio of CD4:CD8 on the clonal efficiency of CAR T cells is still unclear. A path towards identifying biomarkers? Recent studies have shown that PBMCs can act as a potential source of biomarkers. The increase or decrease in the mRNA profile of genes in PBMC can depict the status of several diseases - including diet-related metabolic changes and chronic diseases such as arthritis, lateral sclerosis, etc. Despite the potential for use in research, the use of PBMCs also presents several challenges, especially considering the fact that PBMCs also possess several cell types with variable numbers between patients. 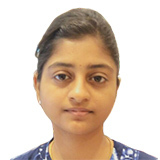 Dr. Surat graduated with a Ph.D. in Cell Biology and Mechanobiology from the Tata Institute of Fundamental Research (Mumbai, India) in 2016. Prior to her Ph.D., Surat studied for a Bachelor of Science (B.Sc.) degree in Zoology, during which she was the recipient of an Indian Academy of Sciences Summer Fellowship to study the proteins involved in AIDs. She produces feature articles on a wide range of topics, such as medical ethics, data manipulation, pseudoscience and superstition, education, and human evolution. She is passionate about science communication and writes articles covering all areas of the life sciences.